Southwest joins other airlines in offering free movies on its Wi-Fi-enabled planes from Reagan National Airport, and is also set to expand its service from DCA. WASHINGTON — Watching in-flight movies on a Southwest Airlines flight is now free. Southwest joins other airlines including Delta Air Lines and American Airlines in offering free movies. Southwest offers up to 30 movie choices on its Wi-Fi-enabled planes. It also now offers free messaging through iMessage or WhatsApp. It still charges $8 per flight for full in-flight Wi-Fi access. Southwest is also expanding its service from Reagan National Airport. It began nonstop service from DCA to Oklahoma City Nov. 5. 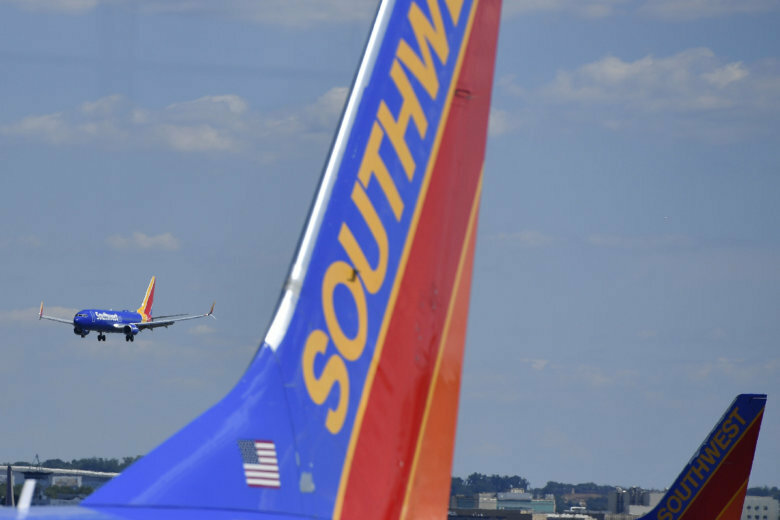 Southwest has also increased its weekday flights from Reagan National to Nashville from three per day to four, and boosted its weekday service from Reagan National from four per day to five. American Airlines is the dominant carrier at Reagan National Airport, with 50 percent market share, according to the Metropolitan Washington Airports Authority. But Southwest now ranks second, at 15 percent, ahead of Delta, United and JetBlue. Southwest is by far the dominant airline at BWI/Marshall airport, accounting for about 70 percent of its flights.